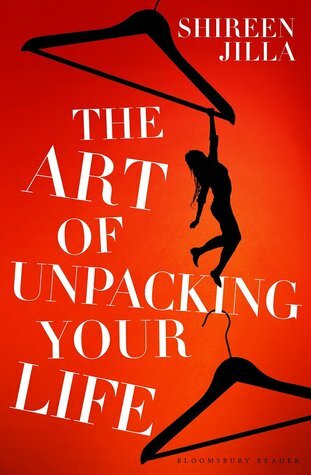 I recently wrote a review of the wonderful novel The Art of Unpacking Your Life by Shireen Jilla. It centers on a group of college friends who take a trip together 20 years after college. Much happens while they’re on holiday–births, deaths, love, scandal and affairs. It’s a topsy-turvy read. Highly recommended. Ms. Jilla worked as a journalist before writing novels. This is her second novel. Her first is a psychodrama called Exiled. Recently Shireen Jilla answered a few questions via email. Amy Steele: How did you get the idea for this novel? Shireen Jilla: I was like a schizophrenic for years, muttering to the main characters, who wouldn’t leave my mind. I wanted to write about a generation that didn’t all end up married with 2.4 children. By 40, some are single, divorced, gay, with children, without. To me, it is no longer clear cut. Amy Steele: It’s your second novel. What did you do differently in writing this one than the first? Shireen Jilla: My last novel, Exiled, was a psychological thriller set in New York. Like Rosemary’s Baby. So the plot came first. It was the very immediate story of one woman, so I decided to write it in the first person. With Unpacking, my starting point was altogether different. I had been thinking about the six main characters for a long time. I was equally interested in each of their stories. So I eventually decided to use a ‘roving’ third person perspective inspired by Virginia Woolf’s Mrs Dalloway. 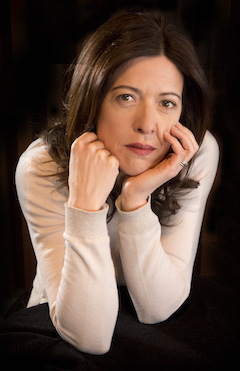 Amy Steele: How does your work as a journalist affect your novel writing? Shireen Jilla: It makes it easier and harder. I am used to settling down to write, but a 1,00-word newspaper feature with a clear beginning, middle and end, is ver different from facing the mountain of 100,000 words of fiction. Once I had worked out what I wanted to do with Unpacking, I wrote it very fast. The first draft was completed in five months. I spent six weekends working from Friday through to Monday, practically without sleeping. I am not precious about getting the scenes down and I don’t prevaricate. I think that’s because I am also a journalist. Amy Steele: Why did you decide to set this in the Kalahari? How did you recreate the settings? Shireen Jilla: I tried setting it in Sardinia, but it wasn’t a remote or extreme enough to allow the characters to unravel in such a short space of time. When my brother took me on this trip of a lifetime to the Kalahari, my first ever to Africa, I realised it was the perfect setting. I kept a diary, took hundreds of photos, some of which are on my website, bought books, and talked extensively to the guides. All the detail is accurate. Amy Steele: As they seem to be the main characters, what do you like best about Connie, about Luke and about Sara? Shireen Jilla: I am incredibly fond of all the characters in the book. I admire Connie’s strength, love her doubt. I was drawn to Luke because of his unspoken vulnerability. And Sara is highly intelligent and funny, but ultimately a loyal friend. Amy Steele: Why did you pick three guys, three women? Shireen Jilla: I wanted Unpacking to be about a group of friends, close but disparate. And I wanted it to be written from a male and female point of view. Both reasons led me to have six main characters. In a literary sense, six main characters is considered a handful. And the editor at my literary agency encouraged me to reduce them. Amy Steele: Are you still close friends with college friends? Would you take a safari trip together? Shireen Jilla: Yes! I would love to do it. Amy Steele: What do like best about writing novels? Shireen Jilla: I love the actual process. It’s probably escapism. Still, I am never happier than when I am in the middle of writing a novel. The Art of Unpacking Your Life [Bloomsbury Reader] by Shireen Jilla is available now.